Spring has sprung, Disney foodies! We’ve got some great news today for all you hungry commuters, walkers, runners, gym-goers, spring breakers, and other assorted podcast listeners! Our latest DFB Podcast episode has been released into the wild! The 20th episode of our DFB Podcast is now up and ready for downloading. About a year ago, we wrote about first-day-at-Disney traditions at Walt Disney World. We had so much fun reading your responses about what YOU love to do on your first Disney day that we wanted to dedicate an ENTIRE podcast to the subject! So think about it: What’s your first-day Disney tradition? In this episode, AJ and Brad cover the latest Disney food news and discuss their favorite first-day-of-vacation traditions at Disney World and Disneyland! Give it a listen and let us know YOUR first-day tradition! We also answer two listener questions, give the answer to our Episode 19 trivia question, and reveal a new trivia question! Here’s the Podcast page for Episode 20. And don’t forget to subscribe to the podcast via RSS or on iTunes! 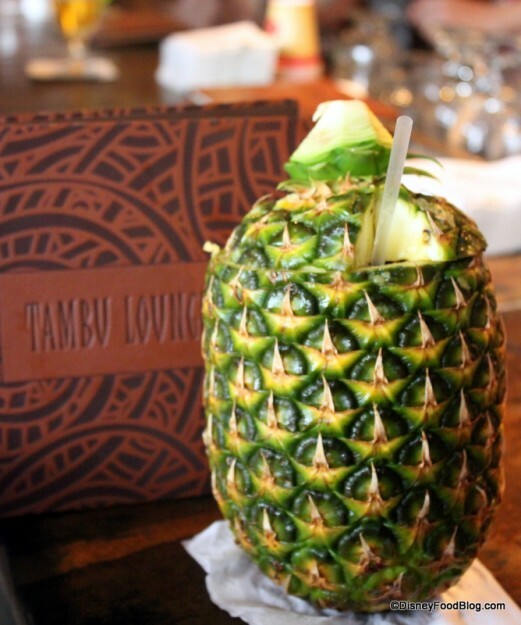 A Lapu Lapu at Disney’s Polynesian Resort is a great First Day Tradition! Take a listen and as always, let us know what you think! The podcast has its own Twitter account — tweet us at @DFBPodcast! 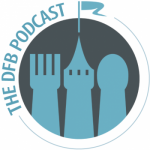 DFB Podcast Episode 12: Disney Dinner Shows! New! 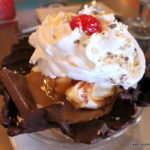 DFB Podcast Episode 19: The DISNEY ICE CREAM POLAR VORTEX! New! DFB Podcast Episode 23: #OnTheList — Our Disney Food Bucket List Choices!